Learn easy to understand program design concepts that can be used for rehab, general fitness and sports conditioning. This course gives you the tools to design exercise programs for all client populations to achieve maximum results. This step-by-step Specialist Course uses a range of modalities and incorporates the use of the stability ball and resistance bands and offers over 125 specific exercises and variations for training the shoulders, upper and lower back and the neck that will allow you to create your own personal and group training routines. This Speciality Certificate Credential provides all the tools, exercises, techniques and practical, in-depth “how-to” information of fundamental topics from a new perspective so you can create a solid program for all clients and deliver quality training. ✓ Promote trunk stabilization, balance, flexibility and strength. ✓ Practice stability ball/resistance cord training. ✓ Employ and integrate stability ball/resistance cord training for all muscle groups. ✓ Demonstrate proper teaching cues. ✓ Create a stability ball/resistance cord workout. ✓ Reinforce and promote shoulder stability, flexibility and strength. ✓ Address all the muscles of the shoulder, as well as the rotator cuff. ✓ Improve thoracic and cervical flexibility and strength. ✓ Improve core flexibility and strength. ✓ Safely and effectively train your client’s with stability ball/resistance cord exercises. ✓ Amplify knowledge for exercise tips at the home or workplace. ✓ Discuss sequential resistance and flexibility exercises on the stability ball. 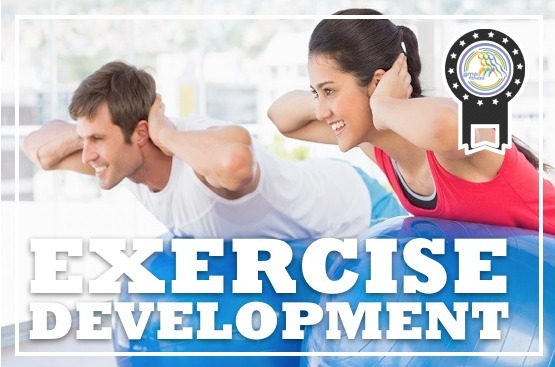 ✓ Provide a complete schedule of exercises that will encourage and incite individuals to take their exercise to the next level. ✓ Explain diverse applications and progressions.